Windows 10 offers many customization features that allow you to personalize the way Windows looks. 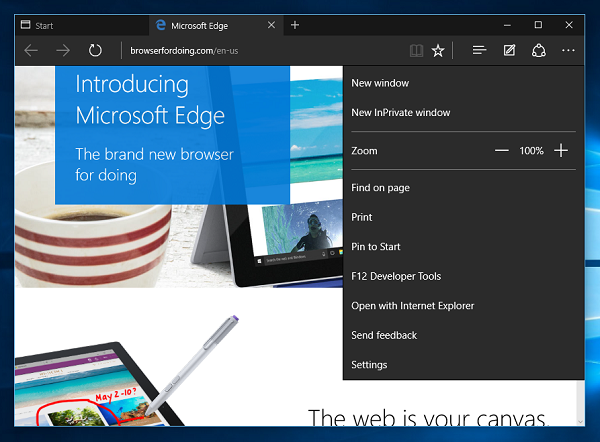 The new Microsoft Edge browser is no exception and offers a light and a dark theme that is easy to switch. Just open up Microsoft Edge and follow the steps below to enable Dark Mode. In the Edge browser, bring up the menu by hitting the three dot icon on the far right menu bar. Select Settings on the bottom of the menu. On the very top of the Settings menu, change the theme from light to dark.